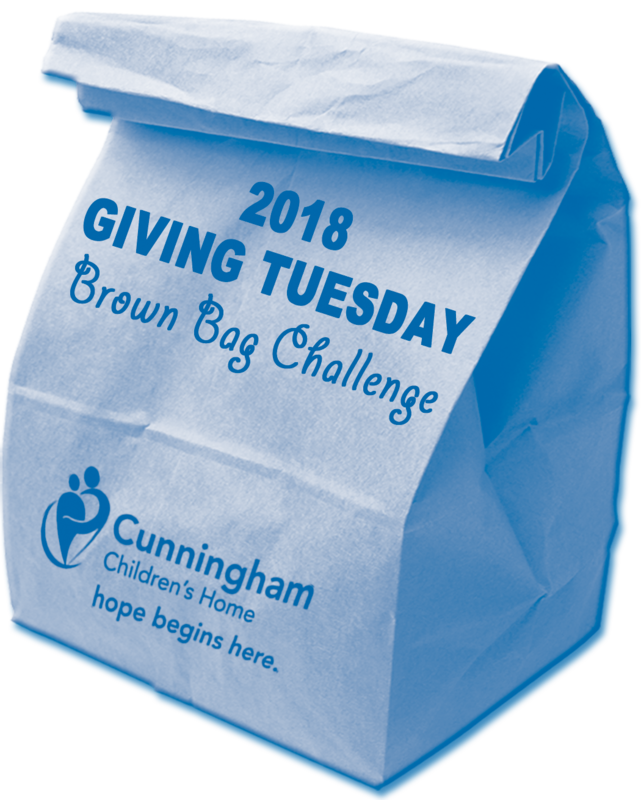 Cunningham’s Giving Tuesday Brown Bag Challenge! Whether you take the Challenge yourself or rally your friends, employees, co-workers or members to take the Challenge along with you, your efforts will be contributing to helping Cunningham kids heal, learn and grow! On Giving Tuesday, November 27, 2018, donate the money you would have spent on lunch out those days to Cunningham Children’s Home! The money raised will support Cunningham’s vision to see every child thrive! We’d love to recognize and thank you on our website and through social media so once you’ve decided to participate, please contact Ginger McKee by email or at 217.337.9074. The business or organization whose employees or members donate the most money will earn bragging rights!